Millbrook Election Scott McFadden Mayoral Campaign Kicks Off! Over the course of the past term of Council, I have been honoured to have served as the Deputy Mayor for the Township of Cavan Monaghan. I have quite enjoyed the experience and the challenges along the way, and I can assure you that I have worked extremely hard on your behalf. It is that same dedication, work ethic, and leadership that with your support, I will bring to the office of the Mayor of the Township of Cavan Monaghan next term. 1) Vote. Between Oct. 14th and Oct. 27th, you'll be able to vote online. Please exercise your right to vote. 2) Display a lawn sign. Through my hard work, commitment, and dedication to our citizens during this past term of Council, I truly hope that I've demonstrated to you my ability to represent you, and to lead this municipality through the challenges and opportunities that we'll be faced next term. I would sincerely appreciate the opportunity to show your support by placing a sign on your lawn. 3) Volunteer. Every campaign NEEDS volunteers, as it's the volunteers that make campaigns successful. A campaign is definitely a team effort, and I need people like you. I would certainly appreciate any assistance that you are willing to provide during my campaign. Tasks could include door knockers, walkers, drivers, sign crews, house party, organizing a neighbourhood meet and greet, or any other opportunity for me to speak to more people in our community. If you have other ideas, fantastic, volunteer. 4) Donate. Campaigns require financial resources. I hope you'd consider donating to my campaign. For those that have already contributed, a sincere thank you! Looking back over the past term of council, I aimed to exceed your expectations of a municipal councilor and demonstrate to you my commitment to delivering results to campaign promises that I made in 2010. In 2010, a common theme amongst residents and businesses in the municipality was that they felt uninformed and disconnected from both municipal and county issues. As promised in 2010, I have focussed a considerable amount of effort providing our citizens with open, transparent and accessible governance, building important relationships that will be vital to the ability of our next Mayor to lead our community forward. I have engaged citizens through numerous initiatives, to better inform residents and businesses of the happenings throughout the municipality, and to provide opportunities for citizens and businesses to individually and publicly raise their concerns. In 2010, I promised to hold public Town Hall meetings to better engage and inform our citizens. During this term of Council, I have personally hosted 20 public Town Hall meetings, which included meetings with our MP, MPP, and the Peterborough County Warden. I also engaged primary school students with Government Days each school year, also incorporating representation from the County of Peterborough, our MP, and our MPP. Each of these initiatives provided citizens with feedback on issues within the municipality, as well, they provided myself with feedback from citizens of their issues and concerns. If elected as the next Mayor, I plan on continuing these initiatives. In 2010, I promised to better inform citizens of municipal and county issues and events. During this term of Council, I have sent more than 90,000 Around the Township newsletters to citizens. I have thoroughly enjoyed composing the Around The Township email newsletters, and I have every intention of continuing, and expanding that initiative during the next term of Council to provide an opportunity for all members of Council to participate. I have been active on Facebook and Twitter with Township news and information, and I have maintained an informative website as the Deputy Mayor at www.ScottMcFadden.com. Council also supported moving ahead with a new and significantly improved Township website, to better inform its citizens. In 2010, I promised to stream Council meetings to the internet. During this term of Council, I brought forward the initiative of Live Streaming all Council meetings to the internet, and with Council's support, the initiative has been adopted. All Council meetings in the Township of Cavan Monaghan are now recorded, and available to be viewed live, or at a later date, over the internet. We are the only municipality in the County of Peterborough to provide this opportunity for it's citizens. In 2010, I promised to focus on Economic Development in the Township. Since that time, the municipality has hired a full time Economic Development Officer, to assist existing businesses and attract new ones. I introduced and am the Chair of the Economic Development Advisory Committee. Council introduced the Downtown Millbrook Revitalization plan, and sought input from staff, Council, citizens, and businesses. I have spent an enormous amount of time working with the province and private businesses in attempts to reuse the jail property to bring a significant number of well paying jobs to our community. This initiative is not complete, and I am continuing to pursue the opportunities that exist with that former penitentiary. I initiated a program for businesses called, "I want to know your business", and through that outreach met with many existing businesses, as well as prospective startups. Discussions on a renewed cooperative and collective vision with the City of Peterborough and the County of Peterborough must continue, focussing on economic development and job creation that mutually benefits the entire region. Working together, we can all succeed in the best interests of each of our municipalities and the entire region. Great strides have been made in the past four years through the completion of several key planning documents, including the Parks & Recreation Master Plan, the Corporate Strategic Plan, and the Township Official Plan. Those documents will form the guiding principles and framework for implementation of those plans in the years ahead. In 2010, I emphasized the importance of the municipality having a Corporate Strategic Plan to provide an overall direction that incorporated the visions of citizens, Council, and staff. A strategic plan has now been completed for Cavan Monaghan, and is used as the basis for many of the decisions that are made by Council. Throughout this term of Council, I have continually strived to create opportunities for our rural municipality, and repeatedly defended the best interests of our citizens and our Township to other levels of government and private corporations. Although there are many great opportunities on the very near horizon, we will also continue to be faced with many challenges as well. Immediate challenges include the future of harness racing, the possible relocation of the SLOTS facility and a loss of the associated revenues, completion of the upgrades to the water and waste water treatment plant in Millbrook, new serviced residential and commercial developments in Millbrook, the future of the Millbrook Dam and Needler's Mill, addressing the escalating costs of policing, continued budget restraints as we continue towards independence of the OLG SLOTS revenues from our operations and capital budgets, and continued objection to inappropriately sited Industrial Wind Turbines. These issues will definitely require strong leadership and a committed, knowledgeable council to bring about positive resolve. Looking ahead to the next term of Council, I am excited about the opportunities for our Township, and I am quite prepared to lead the next Council and our municipality through the challenges that we'll most certainly be faced. Delivering on existing opportunities, while fostering an environment to continue initiating new ones, will remain one of my top priorities. It's been a privilege to serve as your Deputy Mayor during this term of council and I would be honoured to have your support as I seek the position of Mayor in the upcoming election. Beginning October 14th, you will be able to vote in the Township of Cavan Monaghan. I would ask for your support to represent you as the next Mayor for the Township of Cavan Monaghan. 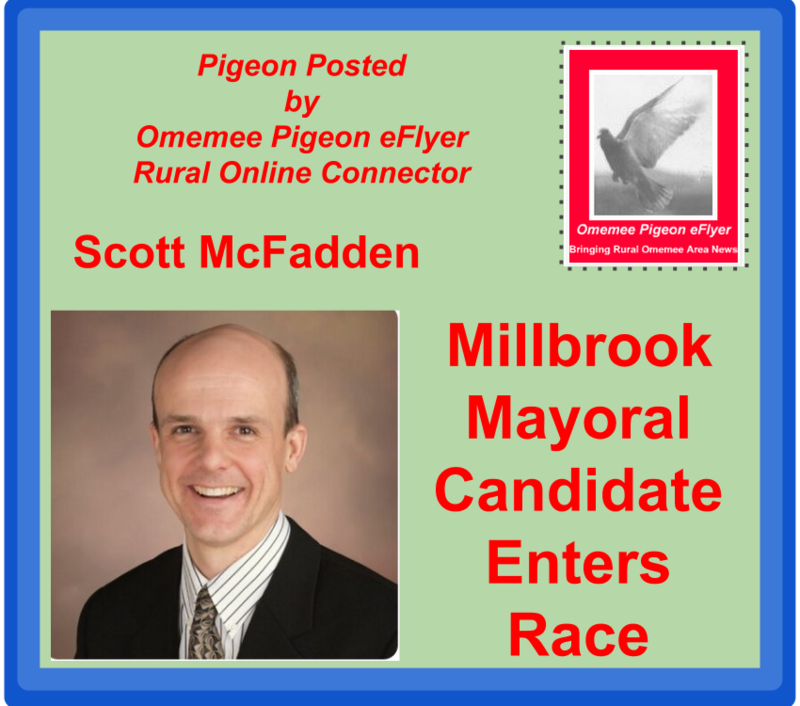 What do think about Scott McFadden Entering the Millbrook Mayoral Race? Drop us a comment, or connect with us in one of these ways. We want to hear your views! Any adfly links below will open with a word from a sponsor to help cover expenses. Click the "Skip Ad" Button when it appears in the top right corner to proceed to the webpage. 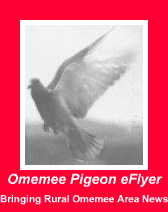 Find out more at : http://adf.ly/?id=4009826 Want a direct link to your site? Leave a confidential comment to ask about a link exchange or sponsoring a post.